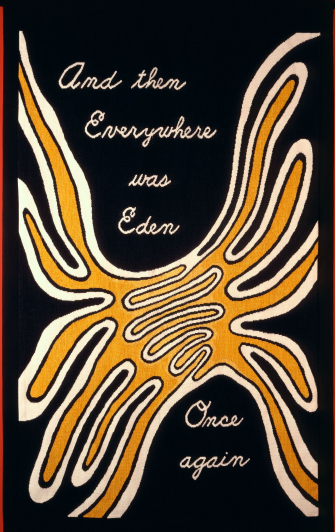 Six woven banners (5’ 6” x 3’ 6” each) hang in procession, welcoming visitors to The Dinner Party. 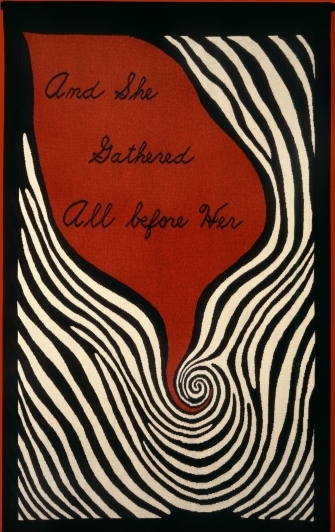 Designed by Chicago, the tapestries repeat the red, black, and gold tones associated with The Dinner Party and incorporate motifs found throughout the piece, such as triangular, floral, and abstracted butterfly forms. 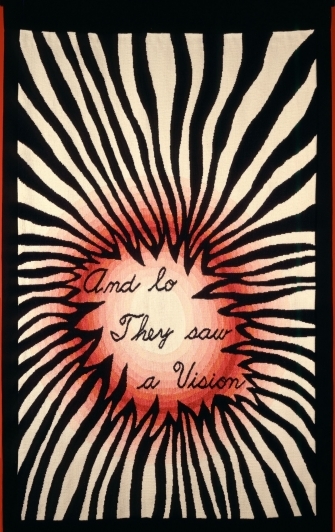 After painting the images on paper and selecting the thread colors, Chicago transferred her designs to graph paper, creating cartoons (patterns weavers use), which were then attached to the back of the warped looms. 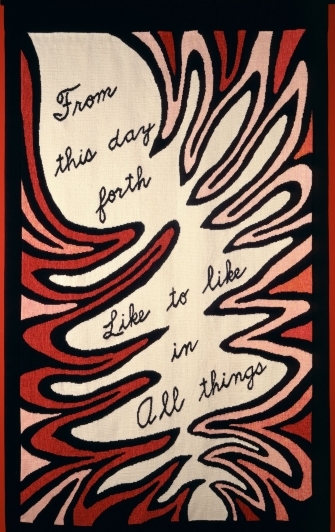 The Entry Banners were woven at the San Francisco Tapestry Workshop, the first workshop in America to provide training in Aubusson tapestry technique, a high-warp (or vertical) weaving popular during the Renaissance. 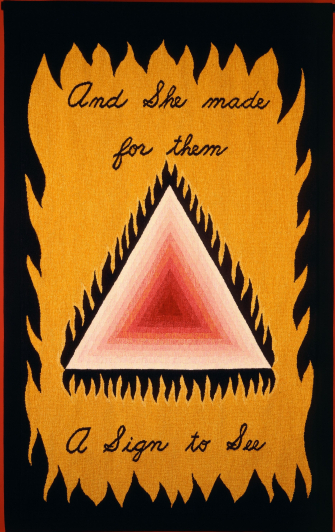 Judy Chicago was inspired to use Renaissance pictorial weaving when she discovered that women were prohibited from working on the high-warp looms. Custom-built looms were designed by Jean Pierre Larochette, director of the San Francisco Tapestry Workshop, and built by Ken Gilliam. These looms allowed The Dinner Party weavers, who were all trained at the Workshop, to see the designs as they worked, a method not afforded early Aubusson weavers who worked from behind the looms. 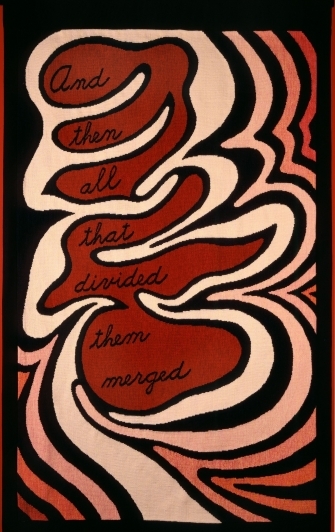 This change was in keeping with Chicago’s feminist principles, which involved respect for the weavers’ agency in translating the artist’s images into thread.